Rushing to a place where you don’t want to be. Why? Why do you do that? Why do you spend your life rushing around? Rushing to work? Rushing home to a place where you do not want to be. Rushing to water a failing relationship with family, friends or foe? Rushing to do what others want you to do? Then after all the rush…when you finally arrive at your destination, you are miserable. Life seems hard. Unfair. So many questions. Why do you do it? Is it because you can’t do any better? You rush to the job because you need to pay the rent-to have shelter. A place to rest. A place where you want to feel the solace of those who care. You need food. Independence. You need to feel worthy. To avoid the shame. To avoid the dread of what others may think. Forget them. Take the steps needed to do you. To go after that dream. Make a plan. Work that plan. Keep it at the forefront of your mind. And when the going gets rough…work it even harder. You will get there… someway, somehow. Here are a 7 tips to help you when you feel stuck. Need help? Let’s connect. Hate your job? Hold up, it could be worse. Here’s SHRM’s list of the worst job this year. 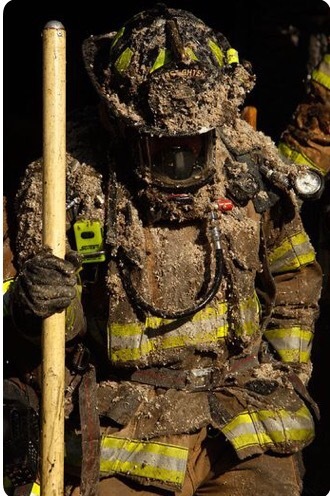 Common thread is the losing battle with professional growth opportunities, salary, demands on time and the stress associated with jobs such as firefighter. So Keep your eyes open and know when it’s time for a change.